Staying in Europe; This time with big hair, symphonic orchestral choir backed operatic female singer led metal band Epica. 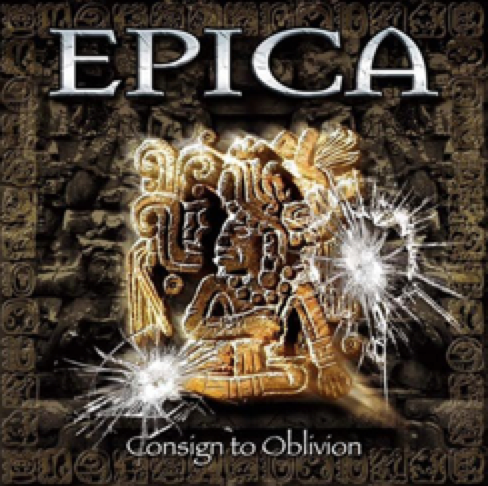 As with Nightwish, Edenbridge and Therion before it, Epica arrived in my life during a scour of Usenet for interesting new music based on them appearing on a compilation and by how much people protested about me playing the music. Tight leather pants wearing flame headed Simone Simons compliments (in the loosest sense of the word) grunt vocalist and guitarist Mark Jansen in a band backed by choir and orchestra playing predominantly some variation of symphonic heavy metal akin to other European, Scandinavian and Dutch bands of the time. Consign to Oblivion? Consign to the bin more like.